Thanks for all your visits in 2012, and especially to anybody who rented and bought the books. WordPress have kindly just provided the following statistics for the calendar year 2012. It was another great year on fmpoetry, but those poetry in stationary motionless mirroring zebras from 2010 held on to the number one most viewed blog spot. Happy New Year: Best Wishes for 2013. Hi, it’s Greenygrey; thanks to Susie for her innovative and efficient countdowning introduction to the last Werewolf of Oz episode. Sometimes it seems as if Christmas and New Year television is all about repeats, and it is nice to watch old programmes and films at a time of year when a lot of the spirit is about looking back at the year and meeting familiar people. We like to get into the spirit here this year, with lots of Werewolf of Oz: Fantasy Travel by Google Maps repeats. Grey was reminded of its epic travel quest across Oz for freedom when we watched the recovered and reworked very long Spartacus directors-cut film, with lots of extra footage; we remember the original from a long time ago. written by Alfred Edward Housman when sad. on walkabout in the land of Oz. on my journey to and fro, hither and dither. Alfred Edward Housman and poem (Shropshire Lad). Hi, it’s Susie Dentinfang, I hope you enjoyed all your nut roasts and sprouts over the holidays, and haven’t been worrying too much about Grey, Bonzo and Elle in the Rainbow Valley. Thanks to my fantastically foxy colleague Wachel Wiley-Coyote for guesting in my last planned blog, and I’m delighted to say that I’m now back on tip-top form. 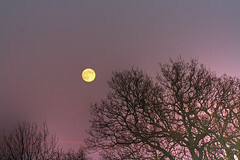 Moreover, as it’s the Full Moon tonight, I don’t have to do any more countdowning. It was a great moon last night, so I hope it pops through the clouds again tonight. As I was free from countdowning, the Greenygrey said I could fulfil a dream I’ve had for many moons, and that’s to introduce an episode of my favourite book of the twenty-first century: Werewolf of Oz: Fantasy Travel by Google Maps. 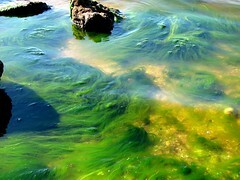 My dream in green seemed to continue for an age, and I remember it vividly. I didn’t want to leave the comfort I felt in green, and the way it reminded me of Green, but I thought I could hear the song We Gotta Get Out This Place again. 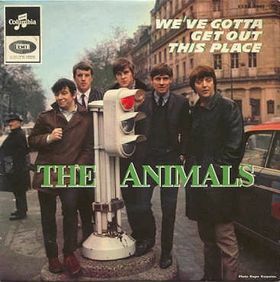 I opened my eyes and saw that Bonzo and Elle had been joined around a bush telly by the Animals I dreamt about in Latham, Western Australia. I took the hint and rose from my slumber. Between my decision and standing up, the Animals and telly disappeared, leaving just Bonzo and Elle sitting on the grass. They were very understanding about my time-out, saying it was nice to see me awake and refreshed. I didn’t mention seeing the other stuff, as they might have thought I was losing it! I certainly did feel refreshed, and it was as if my sleep had provided the green light to speed through green. It wasn’t long before I could see blue-ridged mountains in the distance. I remembered how Green and I passed through blue-ridged mountains on our North American ramble, meeting those two chaps searching for the lonesome pine. 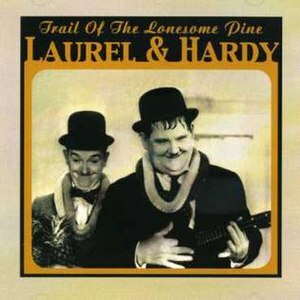 Blue-ridged mountains feature in the song, The Trail of the Lonesome Pine, with Laurel and Hardy having sung a memorable version. Meditations in Green is a book by Stephen Wright. Thanks for visiting fmpoetry in 2012, and hope you all have a Merry Christmas and Happy Holiday. Great news from the Poetic Asides website, where De Jackson, who was featured on this site a couple of years ago, has been named one of their poet laureates for the year. Marc Latham’s 242 Mirror Poems and Reflections is due to be featured on FrontRowLit this week, starting Tuesday December 25th. And to end on a seasonal note, eMORFES has lots of great mirror images in the Winter Landscapes post (reblogged below). Hi, it’s Greenygrey. Thanks for all your visits this year, and to those who’ve bought or rented our books. We thought there was only one way to bow out for the holiday season, and that’s with another thrilling episode of your favourite werewolf travels Australia to the theme of Wizard of Oz book. It seems that Grey has already had a book full of adventures, but it was only a quarter of the way through its journey when it entered the Rainbow Valley on the border between the Northern Territory and South Australia. Have a great holiday! After thanking Croc and Heath for their advice we waved farewell to the Hughmongers. It rather tired us out, as for a relatively small town their numbers were humongous. 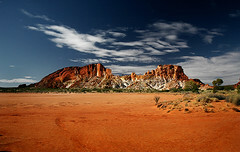 We soon reached the red rocks entrance into the Rainbow Valley, and it got real colourful from then on. 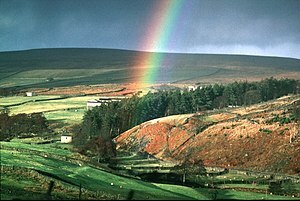 Red animals abounded within the red of Rainbow Valley. 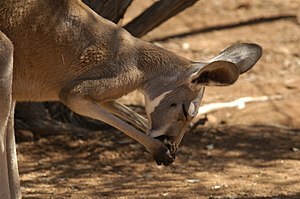 Within the first hour I’d seen red kangaroos, red foxes, red-necked wallabies and redback spiders. Although we could see them clearly, and walked amongst them, no animals acknowledged our existence. It was also red hot there, but the red river did not entice us to its banks. Mars was the only celestial object visible in the sky, and it glowed brighter than I’d ever seen before; it was indeed a red planet. The red turned to orange after a few miles, and the temperature cooled somewhat. I was all of a sudden reminded of Halloween, and the autumn/fall season. I saw no animals in orange, and instead it seemed to be full of fruit and vegetables. 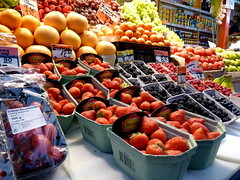 The natural goodies included pumpkins, nectarines, mangoes, carrots, apricots; and of course, oranges. But even though they looked delicious, we didn’t feel the desire to devour. Orange faded to yellow an hour or two later, and it felt as if we were inside a golden paradise. It was as if all the gold in the universe was spread out in front of us. But even though the gold looked shiny and beautiful, we didn’t feel tempted to extract it and weigh ourselves down; instead, we continued our walkabout. Sometime later; I was losing track of time to tell you the truth; the yellow turned green, as if mixed with blue. Memories of my Green surged through me. Our happy times together in the past lifted my mood, but then I thought of our current situation, and it made me lethargic. Thick vegetation also made passage difficult, and tired me out further. I suggested a rest stop, and fell into a deep sleep soon after sitting down.